What Goodies Can You Run On Your VPS? Well, anything you want really. You can easily install any application the distro's vendor makes available. Or you can compile and configure your own applications. Customers commonly use the following applications on our VPS plans. On the Red Hat based distros most of them are pre-installed. Our Debian distro is very minimally configured, so you will most likely need to install them (trivially easy with apt-get). OpenSSH for Root Login. Who would use Telnet when you can use a Secure SHell? Apache Web Server. The world's most popular web server. 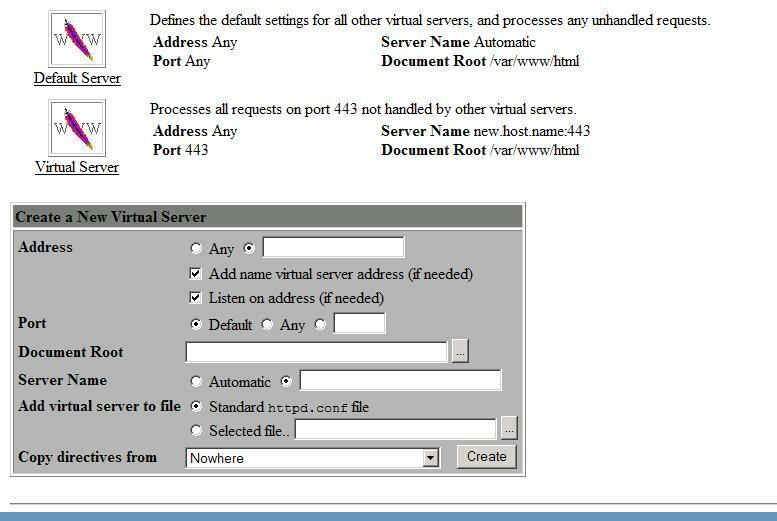 "How do I do all this cool stuff with my new virtual server," you say. Well, if you're a bearded sys admin you can use SSH to log into our servers and manage them from the command line. But if simplicity and convenience are more 'you', then try out the Webmin browser interface. Check the Webmin option on the order form. Sample screenshots: services, adding an Apache virtual host.